Just Cause, a game series starring a swarthy man bathed in tight shirts and explosions, was always going to get a film adaptation. Thankfully, that adaptation sounds faithful to the games. Well, as faithful as you could get. The game's racial stereotypes will never make the big screen, nor the specifics from a pair of stories so awful you forget them while you're playing the games, but the important stuff, that's there. Like star Rico. And his grappling hook. And that's it! 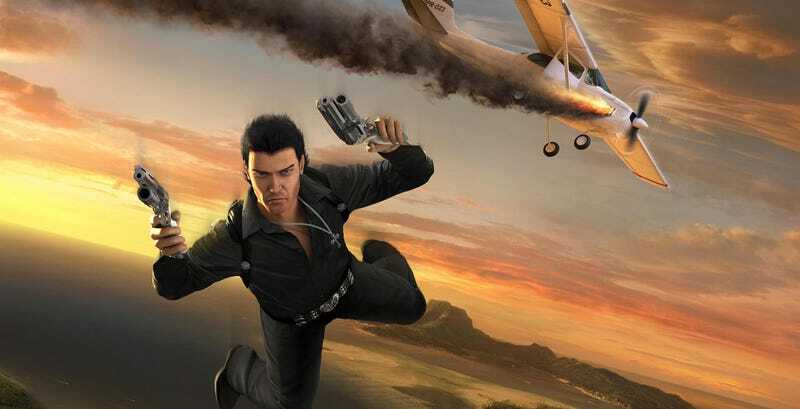 The Just Cause movie, which is being written by Michael Ross, will be an origin story, telling the tale of a man who transforms into the international gun for hire known as "The Scorpion". The movie's production team is hoping to capture a "Casino Royale" vibe, full of "hyper real" fight sequences. Or, as "hyper real" as a man with a magic grappling hook and a salsa dancer's outfit can manage, at least.